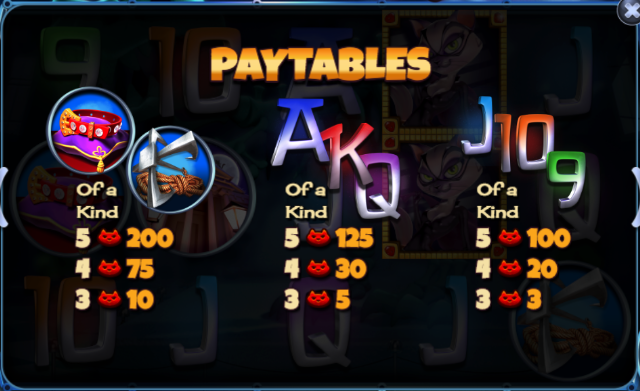 The light-hearted world of crime is a recurrent theme in the theatre of online slots and here we have a sneaky thief in the shape of Cat Burglar; it’s developed by Games Lab and it comes with a robbery-themed bonus feature. Cat Burglar is a five reel slot with three rows and twenty five fixed paylines; the interior of a museum after dusk provides the backdrop for the reels which are securely encased in a slim blue frame. The higher value symbols include are the security guard, the professor, the exterior of the museum, a jewelled collar and a grappling hook, 9, 10, J, Q, K and A represent the lower values. 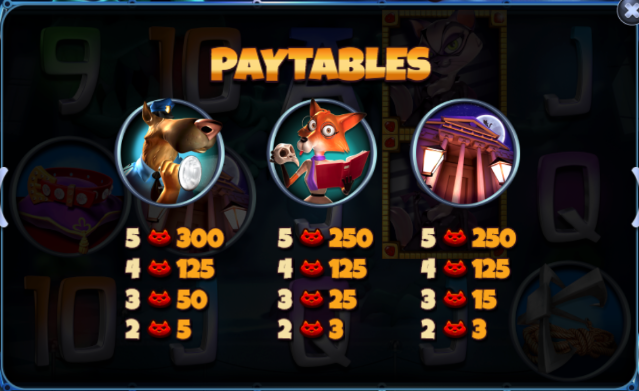 The feline crook is wild and she will replace all others to help form winning combinations except for the onyx idol scatter symbol. This is triggered by landing three or four of the onyx idol scatter symbols anywhere in view; you’ll now receive one free repin with those symbols held in place but any more landing will award one more spin. When this has been completed you’ll move on to the Vault Feature and you’ll see a screen with five vaults and a keypad; you’ll now get to pick selections of numbers depending on how many scatter symbols you collected in the previous rounds – these will open vaults and reveal the number of free spins awarded (up to 190 in total) and multipliers for any wins (up to 5x). 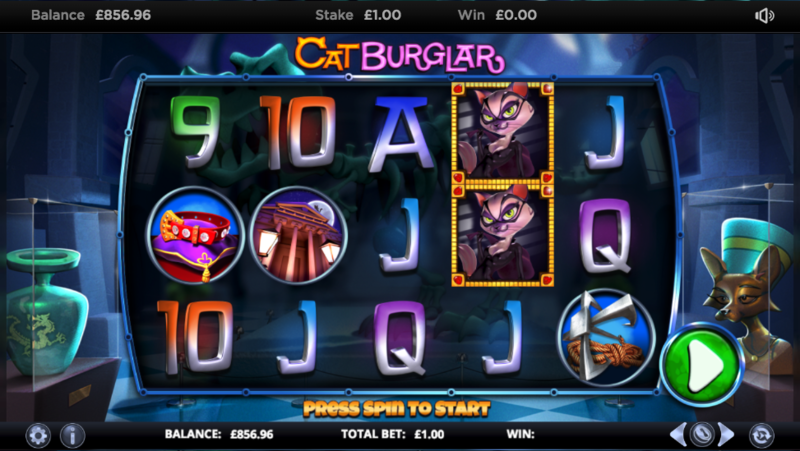 Cat Burglar is a slot which revolves around triggering the main feature, something we found a bit tricky to do but perhaps that’s just bad luck; it certainly creates the appropriate atmosphere, it has plenty of charm and it comes with an RTP of 96.57%.